Alarmingly this included an anonymous spokesperson launching a scathing attack on the Northern Ireland judiciary. The unnamed spook reportedly issued a ‘stark warning’ to judges to stop making decisions to bail suspects, alleging this put the public at risk.The Northern Ireland Office must know this interference in the independence of the judiciary crosses the line constitutionally and ethically. The principle of the separation of powers between the Executive, Legislature and Judicial branches of the state is a cornerstone of a democratic society. MI5 is a secret arm of the UK Executive, subject in our view to wholly inadequate oversight, but nevertheless answerable to the Secretary of State and ultimately the Prime Minister. If MI5 has any legitimate concerns about bail and remand policy it should raise them through those to whom it is politically responsible, rather than seeking to influence public opinion and put pressure on the judiciary through anonymous briefings to the newspapers. Even then Ministers are not to attack the judiciary but bring forward legislation if they wish to amend policy. Given this CAJ wrote to the freshly inaugurated Secretary of State James Brokenshire raising our concerns and to ask him to publicly re-affirm his confidence in the judiciary, independent judicial decision making on bail, and to rebuke the head of MI5. Five weeks passed. This week a response then dropped through our letterbox. First the Secretary of State does not confirm whether the source was an MI5 spokesperson. The response is limited to alluding to the Belfast Telegraph having reported that an “unnamed MI5 source” commented on judicial decisions (although if it was not an official spokesperson questions would surely be asked about the apparent ease of access the imposter had to MI5 premises). 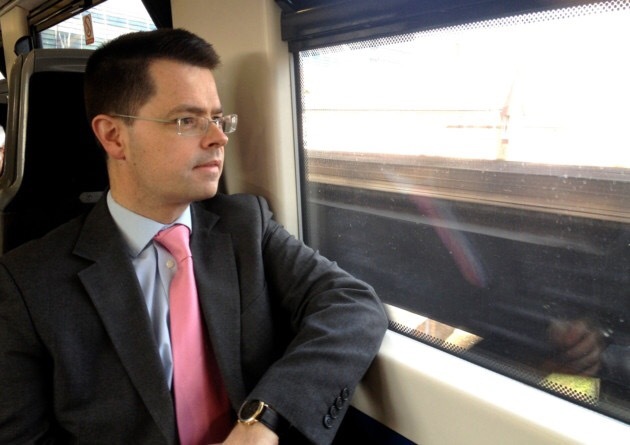 Mr Brokenshire does then reaffirm that the Government “fully respects and promotes the rule of law”, makes it explicitly clear that “bail decisions are a matter for the judiciary” and reaffirms judicial independence from government. Whilst this can be read as an implicit rebuke the Secretary of State is silent as to whether he has actually rebuked MI5. It is notable however that there is no real attempt to defend their statements in the correspondence, beyond a general reference to some of the persons who talked to the Fresh Start panel on paramilitary disbandment having also raised concerns over bail decisions. Whilst many people of course are at liberty and do, ourselves included, criticise judicial decisions from time to time, including those related to bail–this is different – we are all not the government or a wing of the Executive ‘warning’ judges to make the decisions we want. The same Belfast Telegraph article carried an official statement from the Director General of MI5, Andrew Parker, who conceded that trust in MI5 “is lower in Northern Ireland than in the rest of the UK.” Admittedly Mr Parker attributes this lack of trust to “misperceptions and misrepresentations of the past” a curious idea given the amount of material about MI5 misdeeds here already in the public domain. Anonymous briefings undermining the rule of law are hardly likely to turn MI5’s public confidence ratings round in a hurry. Ill advised propaganda smears were just one such activity which was supposed to be relegated to the past.